History - Sivantos Pte. Ltd.
Sivantos Group has a proud history of entrepreneurship, courage, empathy and the will to help others. It’s the story of adventurous employees, great companies, and helping millions of people live better lives. In fact, dedication to helping improve the daily lives of the hearing impaired has long been a tradition for our company – for more than 130 years. The roots of today’s Sivantos Group extend to 1878, when a telephone receiver with substantially improved transmission quality was developed by Werner von Siemens. He was the first to notice that people with hearing difficulties needed better transmission quality in order to understand telephone conversations. 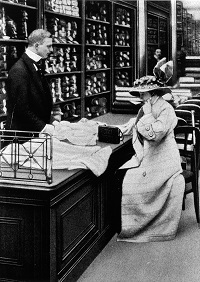 In 1913, Siemens began the first serial production of hearing aids in Berlin with the Esha-Phonophor. Esha (pronounced “es-ha”) mirrored the German pronunciation of S&H, the common abbreviation of the two founders of Siemens, Siemens & Halske. At the end of World War II almost all of the plants in Berlin had been destroyed. Siemens-Reiniger-Werke, based in Erlangen, was the branch of the company specializing in medical technology, so it took over the audiological business in 1945 and had to restart from nearly nothing. The first hearing aids developed and produced in Erlangen were launched in 1951: the Phonophor Alpha. From then on, the number of hearing aids produced by Erlangen climbed steeply. 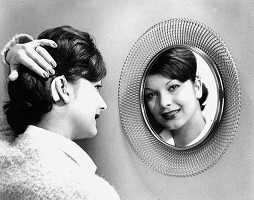 Today’s Sivantos developed the first Behind-the-Ear (BTE) device branded Siemens – Siemens Auriculette – in 1959. 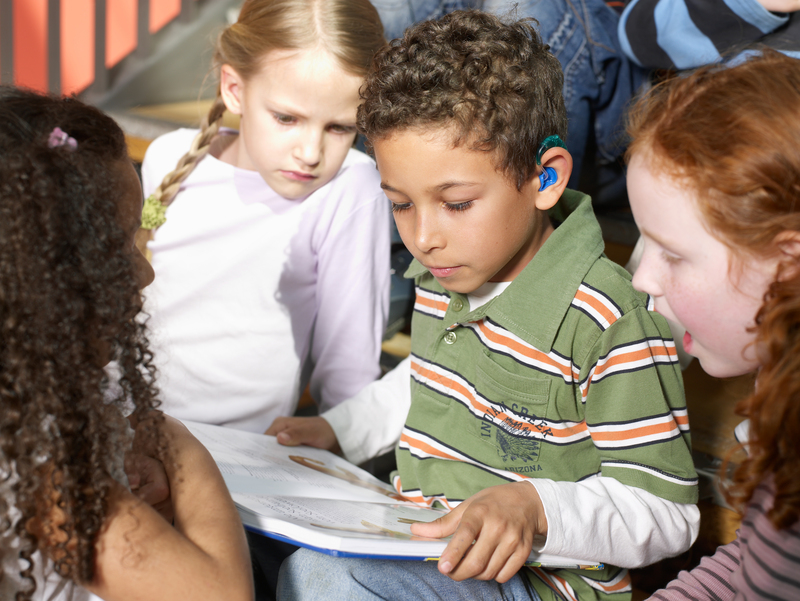 This was a huge step towards more discreet hearing aids. We took the next logical step seven years later when we brought the first In-the-Ear hearing aid (ITE) into the market — but not to Germany, as we will explain later. As a truly global company, Sivantos Group then started to capture the markets all over the world — founding affiliates to sell Siemens hearing aids from the early 70s on in Europe, North America, and later in Asia. In 1986, Rexton International joined the group. Rexton was founded in 1955 by Paul Bommer and started production two years later. Rexton established a subsidiary company in Singapore already back in the 1970s. Rexton itself remains in operation as one of our valued brands. A&M became part of Sivantos Group in 1987, but its history extends to the beginning of the 1900s. Alexandra, the wife of Edward VII (then King of Great Britain and Ireland), had been nearly completely deaf since the birth of her second child. 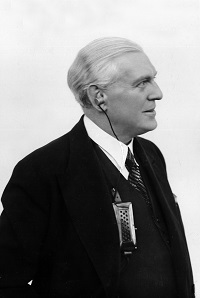 Miller Reese Hutchison, an engineer from Alabama, Georgia in the United States, developed a hearing aid for Alexandra for their coronation ceremony. It was called Akouphone. Back in the US, Mr. Hutchison founded the Hutchison Acoustic Company, which operated until 1905. It was subsequently divided into three companies: General Acoustic, Dictograph, and Acousticon. Acousticon, which was established in England in 1905, merged with the hearing aid company Multitone in 1975 to become Acousticon & Multitone (A&M). Today, the Sivantos Group’s A&M brand focuses on the needs of emerging markets. This is the year when Horst Peter Hühne, founder of Audio Service, sold his shares to A&M Hearing Aids in Crawley and became a subsidiary of today’s Sivantos Group. Since their beginning in 1977, Audio Service has focused on manufacturing ITE hearing aids. Horst Peter Hühne discovered custom-made hearing aids on a trip to America and quickly set about introducing them into Germany. The same year Audio Service became part of Sivantos Group they expanded their product range to include BTE devices. HearUSA joined Sivantos Group in 2011. Originally known as HEARx, HearUSA opened its first hearing care center in Florida in 1987. In 2002, with the acquisition of a national hearing care company, HearUSA was created. In January 2015, Siemens AG closed the sale of Siemens Audiology Solutions to EQT. Siemens Audiology Solutions was renamed Sivantos Group. Last, but not least, audibene joined Sivantos Group as our online hearing care company. The company was founded in early 2012 by Marco Vietor and Paul Crusius to harness the power of the internet to deliver high-quality hearing care to first-time customers. In January 2016, Sivantos Group opened the next chapter in their company’s history, introducing its new brand: Signia. Signia stands for hearing innovations that center on the customer’s needs and deliver the highest level of quality and satisfaction.